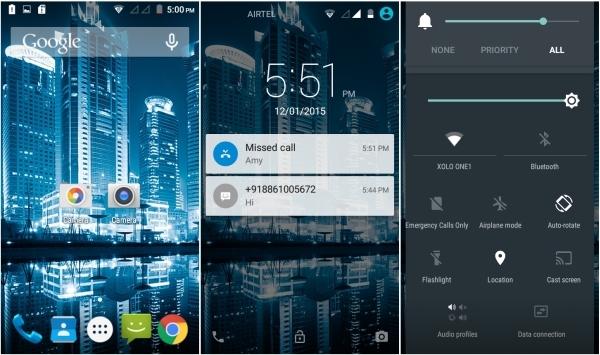 XOLO has announced that the company's budget smartphone XOLO One will soon be getting the Android 5.0 Lollipop update. Starting January 16, the update will start rolling out to all the devices. The XOLO One is a budget smartphone meant to compete with the Android One devices. It has similar specifications in the form of a 4.5-inch, 854x480 resolution display, quad-core MediaTek MT6582M processor, 1GB of RAM, and 1700mAh battery but has a more capacious 8GB internal memory and a more premium design. The important thing here is that even though the XOLO One is not an Android One device, it is still getting the Lollipop update before the Android One devices, which Google promised would get quick updates but are still on KitKat. The XOLO One is priced in India at Rs. 6,599 ($106). my xolo Lt 2000 has not allowed to upgrade lollipop,why?